for Medium-Wet to Medium-Dry Soils & Full to Partial Sun Pollinator-Palooza [pol-uh-neyt-ohr-pah-looz-ah] noun. 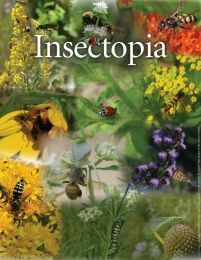 def: 1. an all-out crazy party for bees, butterflies and other pollinators; 2. A field you visit with a mob of fellow pollinators to pollinate like there's no tomorrow. We are offering this seed mix in cooperation with the "Bring Back the Pollinators" campaign of the non-profit Xerces Society. Pollinators are critical to human food crops yet our practices result in habitat loss, environmental toxins and monocultural cropping that compound stressors on them, threatening their, and our, survival. 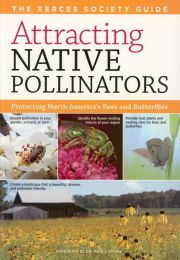 To counter this trend and introduce more pollinator-friendly plant diversity, this uniquely diverse, 100% North American native mix includes species that produce not only nectar but the habitat that pollinators require for survival. Designed for full-sun to partial-shade sites with medium soils, this shortgrass mix boasts grasses and most wildflowers at 3', with some flowers reaching 5' at full bloom. Bloom times progress spring through fall. Our Pollinator-Palooza Seed Mix moves beyond more common pollinator mixes by offering plants that appeal to a broad array of pollinating insects. Included in the 45 species are some not commonly available like Late Figwort and Hairy Mountain Mint. Although some of the native plants in this seed mix have ranges that extend beyond zones 3-7, the majority will do best in this zone range. For more detailed information please see the RANGE MAP for each species. View the complete species list, including % by weight, under COMPONENTS. 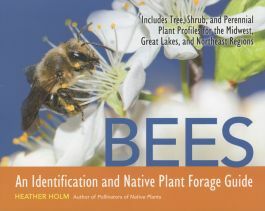 Research shows that inclusion of native plantings near agricultural crops greatly enhances crop yield, attracts native pollinators, improves ecosystems and lessens reliance on already-stressed European-introduced honeybees that annually are transported around the country to flowering crops. Pollinator-Palooza's blend of flowers and grasses will be equally appealing to humans and insects. 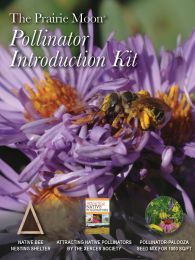 We believe this mix will help enlighten everyone to the importance of pollinator habitat. For seed mixes of 1/8 acre or less, we include a temporary cover crop at no additional charge. ReGreen is a sterile, short-lived perennial wheat hybrid that can be planted spring or fall. Add a Seed Mix Enhancement for that extra splash of color! Establishing a native plant community from seed can take 3 years or more - learn more. A Prairie Moon • 10/16/2017 Hi Andrea. Great question! Our pre-designed seed mixes are designed to perform well from the Midwest to the Northeast, primarily in zones 4-6. However, there is flexibility, and planted with the right sun exposure and soil moisture, our mixes can do well in zones 3-7. The species diversity in the Pollinator-Palooza Mix makes it flexible for planting in a variety of soil types: clay, loam, or sandy loam. Matching the soil moisture holding capacity of your site to the seed mix is the most important. The Pollinator-Palooza will do well on medium-wet to medium-dry soils, so as long as your soil is not excessively wet or dry, you should have success. Q Pablo • 10/29/2017 Do you have a zone map available in your website? Does this seed mix contain only native plants including ones recommended for the Northern NJ area? And lastly, is the seed mix pretreated with any type of chemicals that harm bees or insects? Thank you. For our pre-designed Seed Mixes, like this Pollinator-Palooza Mix, you can be sure they are made up of native species that will thrive in the US areas I mentioned. 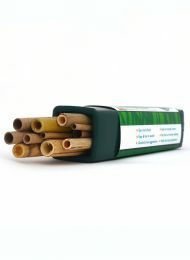 No, we don't use insecticides on our plants and are proudly Neonicotinoid-free. You can read more here. Q Karen • 01/14/2018 Does this need to be stratified before planting? A Prairie Moon • 01/15/2018 The majority of species in our mixes require stratification in order to germinate. Because there are a variety of species with different stratification requirements, we recommend sowing the mix on the site in the winter. We do not recommend artificially stratifying our mixes. If planted in the spring, a few species will germinate (mostly grasses) and the rest will lie dormant until the following spring. Q Kelli - Broadfork Farm, Minneapolis • 02/01/2018 Not a Question, but customer praise for Pollinator-Palooza! Our farm is a Certified Bee-Friendly Farm and we received a grant from Partners for Sustainable Pollination to add even more bee-forage to our farm. We chose your company for the seed mix because we heard such great things about what you do and the added incentive that this particular seed mix is backed by Xerxes Society. Thank you! Q Mary • 07/01/2018 What are the grasses in this mix and the % of grass? Also, is it deer resistant? Thank you! A Prairie Moon • 07/03/2018 The grass species, and the % of grasses in the mix is listed under the "COMPONENTS" tab on this page. Our pre-designed seed mixes are always made up of a high concentration of wildflowers and grasses, and they are fairly distributed. 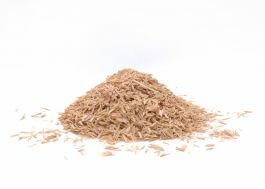 It is important to look for the % of each species in a seed mix because if it is not advertised, you could be getting a large amount of an inexpensive species, like a grass, and just a small amount of wildflowers. Native plant communities provide the inspiration for our seed-mix designs. All our mixes feature high seeding rates and a diverse balance of native species, which, when mature, will provide blossoms throughout the year. No matter what you want from a seed mix, you will need to make sure it fits the soil-moisture holding capacity and sun conditions of your site.